There will be approximately 10 lakh polling stations in this Lok Sabha Elections as compared to 9 lakh polling stations in 2014. The total electorate in this Lok Sabha elections will be 900 million, of which 15 million voters are in the 18-19 age group. 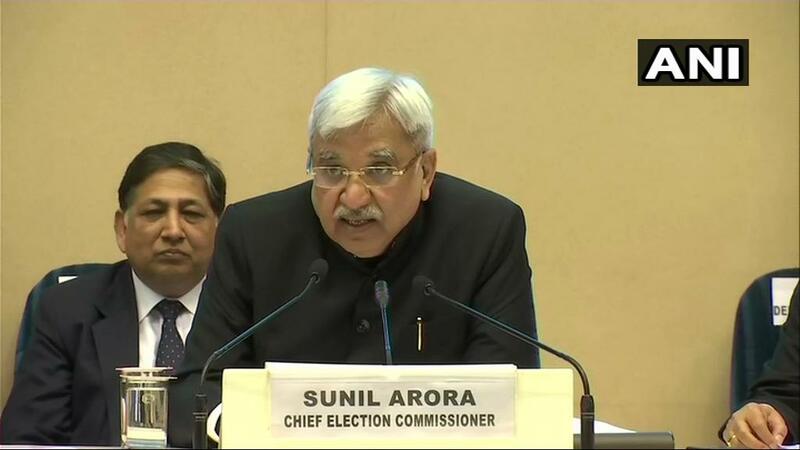 Chief Election Commissioner Sunil Arora on Sunday announced the schedule for 2019 Lok Sabha elections. With this, the Model Code of Conduct (MCC) comes into effect from today itself in the entire country. “Any violation will be dealt with in the strictest manner,” the CEC said. The election will happen in 7 phases. Polling will begin on April 11 and results will be declared on May 23. In these polls, Prime Minister Narendra Modi will make his bid to return to power amid hectic parleys by several political parties to put a united fight against the ruling Bhartiya Janata Party (BJP). The term of the present Lok Sabha ends on June 3. 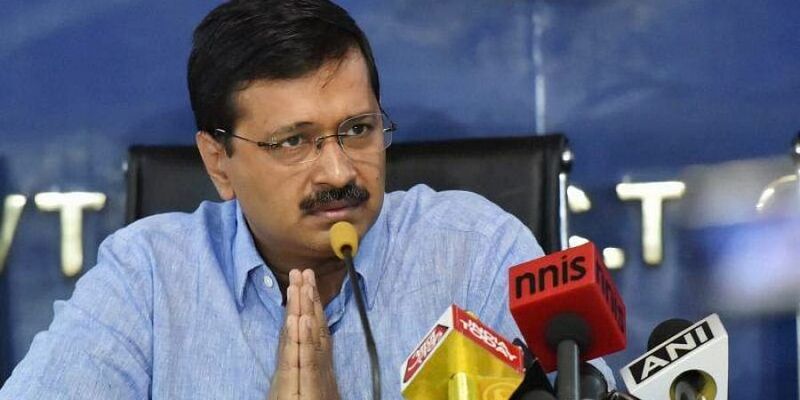 Delhi CM Arvind Kejriwal in a tweet said: "Ultimately back to We the people - the real power of our democracy. Time to throw out the most dictatorial and anti-federal govt in the history of India. Time to seek answers on demonetisation, jobs, destruction of traders n destroying brotherhood amongst different communities." After the announcement of the poll dates, Prime Minister Modi said: "Wishing all political parties and candidates the very best for the 2019 Lok Sabha elections. We may belong to different parties but our aim must be the same- the development of India and empowerment of every Indian!" Wishing all political parties and candidates the very best for the 2019 Lok Sabha elections. We may belong to different parties but our aim must be the same- the development of India and empowerment of every Indian! Phase-1 polling in Andhra Pradesh, Arunachal, Goa, Gujarat, Haryana, Himachal, Kerala, Meghalaya, Mizoram, Nagaland, Punjab, Sikkim, Telangana, Tamil Nadu, Andaman & Nicobar, Dadra & Nagar Haveli, Daman & Diu, Lakshadweep, Delhi, Puducherry, Chandigarh, and Uttarakhand. 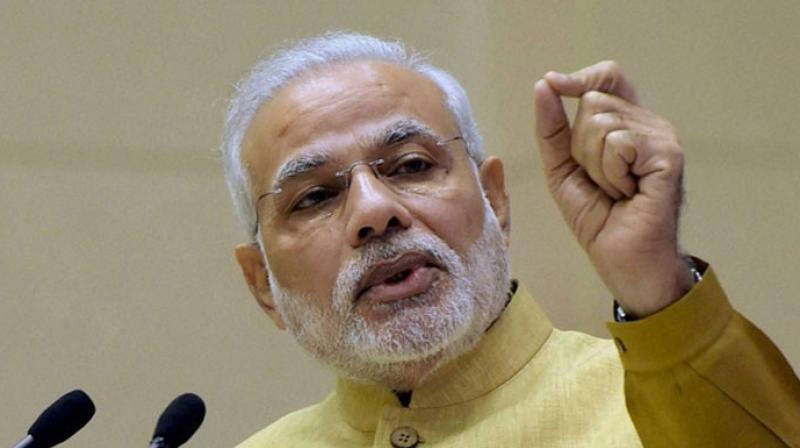 Prime Minister Narendra Modi urged the people to enrich the 2019 Lok Sabha elections with active participation. "I hope this election witnesses a historic turnout. I particularly call upon first-time voters to vote in record numbers," he said. Based on input, the constraint of availability of central forces and other logistics requirement of forces for the security of candidates in wake of recent violence and keeping other challenges in mind the commission has decided at this stage to announce only schedule of Parliament election in J&K. Elections to Legislative Assemblies of Andhra Pradesh, Arunachal Pradesh, Sikkim and Odisha to be held simultaneously with the general elections to the Lok Sabha. Assessment meetings held with States and Union Territories through all of January, also interacted with political parties followed by presentations by CEO of State. CEC Sunil Arora has begun the media briefing scheduled to announce the dates for the Lok Sabha polls. The Commission started preparing for this elections for quite some time. Several round of consultation were held with the Ministry of Home Affairs. The commission also held talks with several department including Railways for the movements of officials. The officials of the commission have left for Vigyan Bhavan to announce the dates for the Lok Sabha elelctions. The EC is scheduled to announce the date at 5 pm. The BJP under then Prime Ministerial candidate Narendra Modi won 282 seats with 31.34 per cent vote share. The Congress was reduced to 44 from 206 seats in 2009. Its vote share had come to 19.52 per cent from 28 per cent five years ago. The third largest party was AIDNK which got 37 seats. Ahead of the announcement of election dates, Former chief election commission Dr SY Quraishi in a tweet said: "There is much speculation about election dates. Last three elections (2004, 2009 & 2014) were held from 20 Apr to 10 May (4 phases), 16 April to 13 May (5 phases) and 7 April to 12 May (9 phases), respectively. The window available this time is still similar. But not much." Will Election Commission announce dates for J&K? The BJP, which suffered a drubbing at the hands of the Congress in the Chhattisgarh elections last year, is hoping its new state unit chief Vikram Usendi will revive the party's fortunes in the upcoming Lok Sabha polls. While the BJP's tally in the 90-member Assembly plummeted to just 15 seats, it fared well in the Lok Sabha polls (2004, 2009 and 2014) held after the formation of Chhattisgarh, winning 10 out of 11 seats all the three times. Union minister and senior BJP leader Vijay Goel on Sunday said his party had a direct fight with the Congress in the seven Lok Sabha seats in Delhi and the AAP will bag the third place in the national capital in the upcoming general election. "People will vote to form a government at the Centre, so our fight in Delhi is with the Congress. Who will vote for Arvind Kejriwal and the AAP, which has no say in the formation of the next government in the country," Goel told PTI in an interview. The required electronic voting machines and paper trail machines are in place to be deployed in nearly 10 lakh polling stations across 543 Lok Sabha constituencies, according to news agency PTI. Top film star Rajinikanth on Sunday said he would not contest the bypoll expected to the Tamil Nadu Assembly, nearly a month after declaring that his target was only the Assembly election. While bypolls are expected to 21 Assembly constituencies in the state, Rajinikanth, when asked if he would fight the bypoll since he had declared the Assembly polls to be his only target, tersely said, "No." There is a high probability of the elections being spread across seven to eight phases this time, according to news agency PTI. Odisha chief minister Naveen Patnaik on Sunday announced that Biju Janata Dal (BJD) would reserve 33% seats for women in the upcoming Lok Sabha elections. Making the announcement at a convention in Kendrapara, the Biju Janata Dal president said the "historic step" would lead the way in empowering women in the country. Patnaik's announcement would also mean that the ruling BJD will issue tickets to women in at least seven of the 21 Lok Sabha constituencies in the state. Notification for the first phase of the Lok Sabha elections could be issued by the end of March for voting sometime in early April, news agency PTI reported.